I was asked recently why I persevere with learning to use IT in my teaching, especially when I seem to be coming up against one problem after another. At the time, my simple answer was “It’s because I have a degree in IT”. However, I have been thinking about it, and I am no longer sure that is the reason. I have decided to share my thoughts on this because I see teachers who want to use more IT and really don’t know where to start, and there is always the element of fear of ‘what if it doesn’t work’. To put things into context, I came into teaching from Industry. I have a degree in Electrical and Electronic Engineering, and a Masters in IT, and have worked across both industries for 18 years, before becoming a maths teacher – which I have now done for 3 years. I have found the biggest issue with using IT is getting started – there are always teething issues in learning how something works. But just as we ask pupils to persevere when they are learning something new so should we – because it is through making the mistakes that we deepen our learning. (Hmmmm where have I heard that before??). Sometimes when things don’t work the way I want, I might use a work-around to try and get round the problem. This probably does come from being an Engineer but ultimately it’s problem solving – again something we are teaching our pupils. The other big issue is knowing what apps/ software etc to use. The best suggestion I can offer here is to ask around / research on the internet / twitter. What I am doing is starting within my comfort zone – which scarily enough is Glow. I have used Sharepoint in industry, and know its potential as a forum for saving and sharing information. While I am getting the pupils used the the basics, I am investigating the features of Glow and thinking about what I can try next, and how it will fit into my teaching in a meaningful way. So in answer to the original question about why I persevere, I think part of it is because I am fairly new to teaching, and the fear of things going wrong is ever present, so to me many aspects of teaching are new, so I am not scared to try different things, and to be honest I hope I keep that state of mind throughout my teaching career. In the early days of my teaching career, I was less fearful of the technology than I was of the teaching!!! Secondly I have come from Industry where I see a digital world. Technology is everywhere, and pupils will see a big jump in the use of technology between school and either further education or employment. Many pupils primarily see technology as a means of communicating with their friends or playing games. 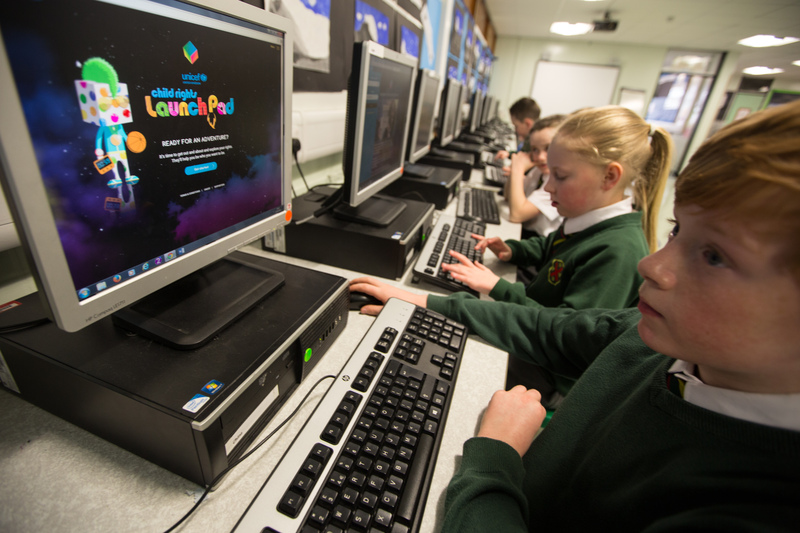 The best way to teach our pupils to use technology responsibly is to show them that there is more to tech than Facebook/snapchat or improving their kill/death ratio, and the way to do this is by getting them to use it, as a regular part of their learning. This entry was posted in ICT, Pedagoo on March 6, 2017 by Gillian Mathewson.